LOVE THEM? ORDER 100 FOR THE FREEZER! At Evan’s, our Knishes are our specialty. We have the classics and then our hand stuffed meat knishes, you won’t be able to find these babies anywhere else. Place parchment paper on baking sheet (will save you some clean-up). Place Knishes on the baking sheet and put into the oven. Apply a light egg wash to tops. Wait 15-20 minutes. Remove Knishes from oven. Let cool, or just burn your mouth and dig in because they’re that good. LOOKING FOR NY SANDWICHES IN THE NORTH SHORE? WELL, LOOK NO MORE! 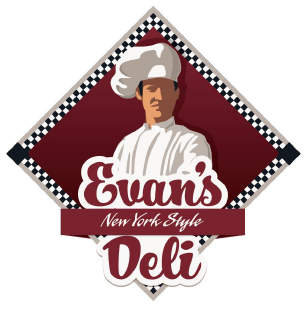 At Evan’s Deli, we understand everything that goes into planning an event. That’s why we pay such close attention to the details. We strive to provide the freshest food for you and your guests during any event requiring our catering services. Each of our custom designed catering platters is served on decorative trays and bowls, and we provide all plates, napkins, and serving utensils necessary for your event. 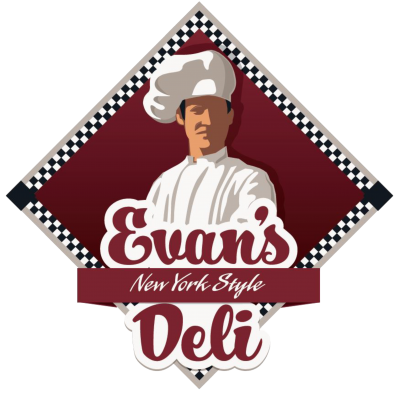 Whether your event is an elaborate wedding celebration, corporate meeting, or a cozy backyard party, you will be sure to receive quality service and premium food from Evan’s deli. Call Evan today and let him handle the stress at your next event.